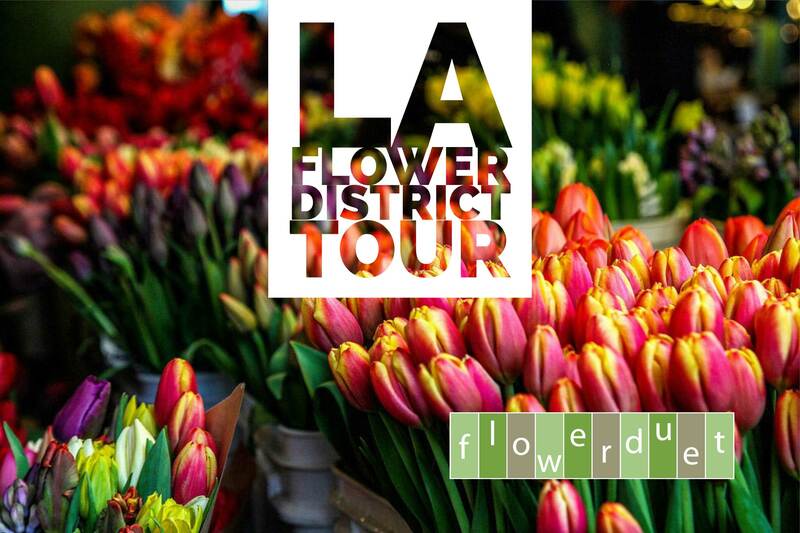 Tour Time - 7:00 -8:30 a.m.
We offer pri­vate and group flower mart tours of the down­town Los Ange­les Flo­ral Dis­trict — affec­tion­ately known as “the LA Flower Mart.” We meet at the mart at an easy-to-find loca­tion and offer a guided tour which includes time for shop­ping at the end of the tour all for just $20 per per­son. NOTE: All tours will be fol­lowed up with an OPTIONAL work­shop for an addi­tional fee at our expan­sive design stu­dio in Tor­rance. See descrip­tions of classes at left and to make a reser­va­tion. See Related Items below to book the Tour and Class combination which offers a discount.